I’ve really been inspired by people who’ve put themselves on the line for the sake of building a better world. I’ve been looking for ways to contribute, if only small ways. This is one of those small ways. It’s a pattern for a hand embroidered atarah, a neckpiece for a tallit prayer shawl. I’m calling the pattern “We Will Build this World with Love.” The design has been turning itself around in my head for a while now, and today I decided to finalize it and send it out into the world. I haven’t stitched it up yet, so I don’t have an embroidered sample to show you, but I trust your own inspiration to carry the design to new creative places. The words in this atarah distill the song down to the affirmation “We will build this world with love.” Olam chesed yibaneh. Unlike most of my past embroidery projects, this is a pattern only. There are no instructions and no stitch guide, so use your own creativity and your own choice of stitches. The pattern includes the embroidery design as well as the cutting and seam lines for the atarah. The finished size of the atarah is 31” by 3.5” (79cm x 9cm). Here is the link to the pattern: “We Will Build this World with Love” Tallit Atarah Hand Embroidery Pattern. There are two versions of the pattern. The first is the standard pattern, and the second version shows the design in reverse (a mirror image). Choose the version that works with your preferred pattern transfer method. Before cutting the atarah out of the fabric, make sure the fabric is wide enough to fit into your embroidery frame, if you plan on using one. You may want to embroider the design before cutting the atarah out of the fabric. When the embroidery is finished and the atarah has been cut out, press the edges to the wrong side of the tallit along the line for the seam allowance, which is ½” (12cm from the edge). 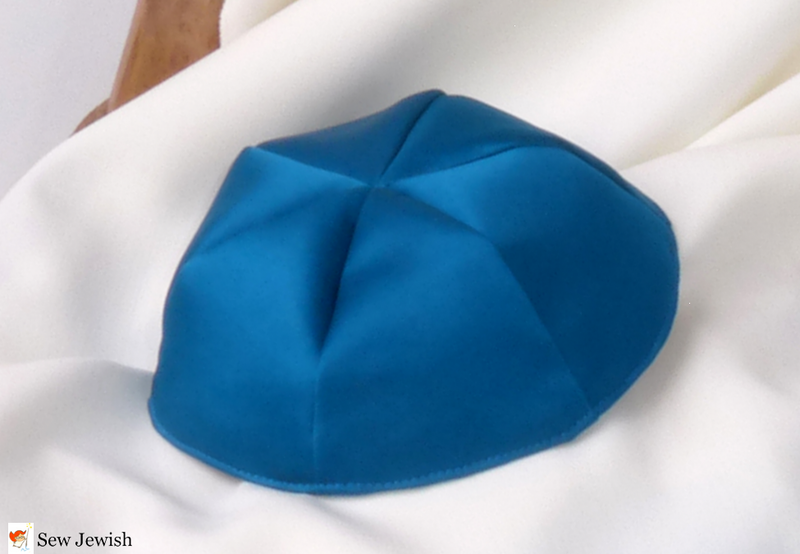 Sew the atarah to the center of the top edge of your tallit by machine or hand. The atarah is designed so that the top edge of the letters is closest to the edge of the tallit. Here’s the link to the pattern: “We Will Build this World with Love” Tallit Atarah Hand Embroidery Pattern. Tags: atarah pattern, hand embroidery, Hebrew, Olam Chesed Yibaneh, Rabbi Menachem Creditor. Bookmark the permalink.